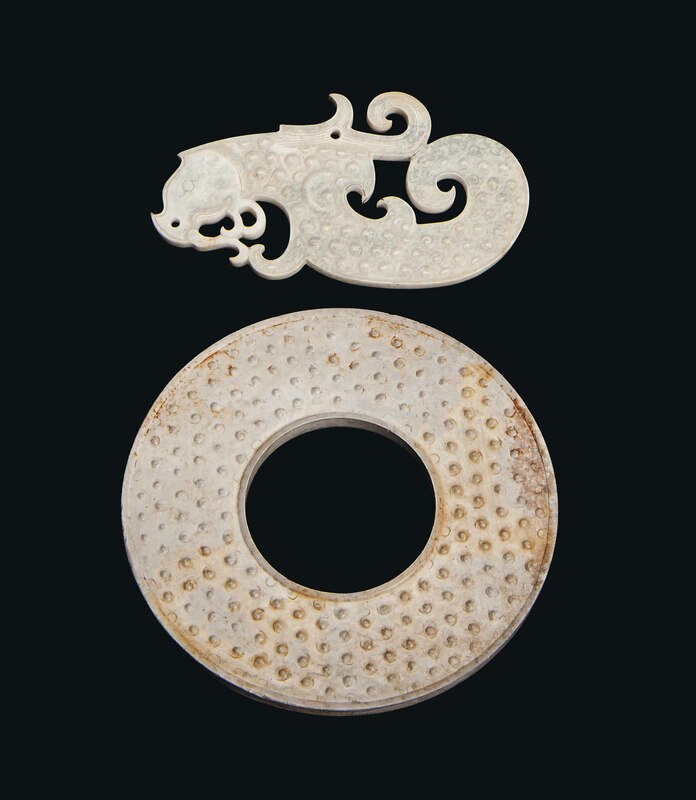 The dragon pendant is carved with raised nodes to both sides, the celadon stone with calcification. The bi disc is carved with raised nodes in shallow relief, the calcified stone with russet inclusions. The bi disc 3½ in. (9 cm.) diam. The first, acquired in 1991 from a private collector. The second, acquired in June 1973 from a private collector.